Happy Saturday to you! I realized I hadn't shared this project with you. We created this at stamp club in June ( I think). 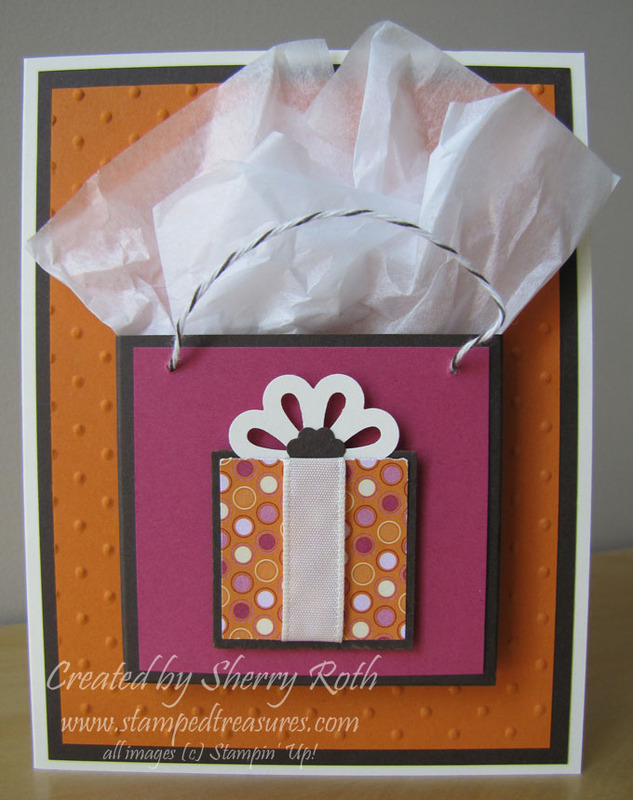 I was inspired by a little give bag that I saw on the Inking Idaho blog and thought it would be cute on the front of a card. It's the perfect size to tuck in a gift card so some of the kids teachers received this as their year end gift. 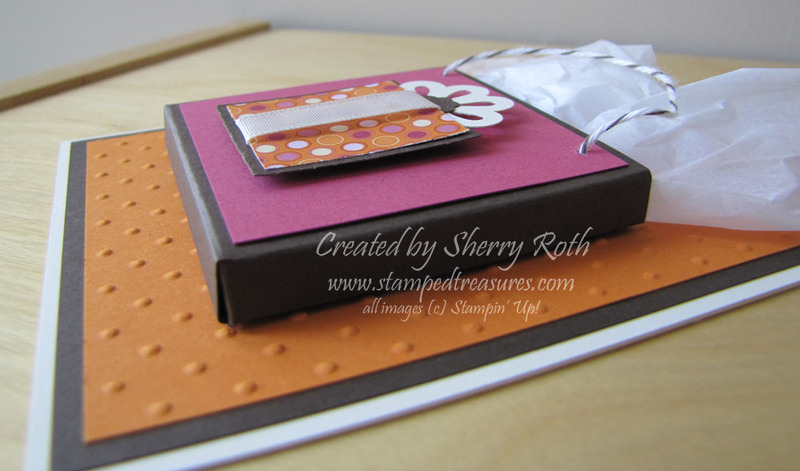 To create this 'gift bag' simply cut a 4"x3-1/8". Score at 1/4" and 1/2" on the two long sides and one short side. Trim the corners like you would when you create a box and then fold and assemble using sticky strip. The sticky strip serves two purposes - it holds the box together but also holds in onto the card front. 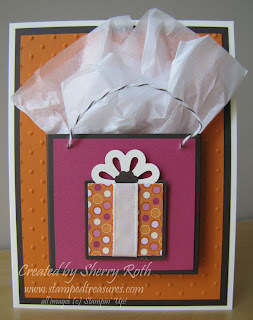 Tip: decorate the front of the gift bag prior to assembling it or attaching it to the card. It's just easier to decorate flat. If you are interested in doing projects like this once a month, let me know, I will be starting another round of stamp club in September and I'd love to have you join us! I hope you enjoyed todays' project, thanks for stopping by!